florida girl in dc: Is RdV Vineyards the Best Wine in Virginia? 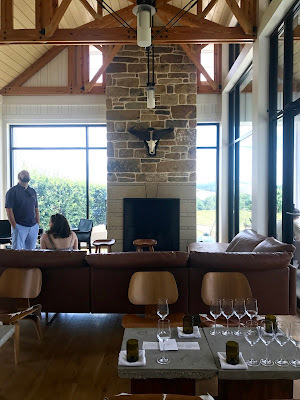 Is RdV Vineyards the Best Wine in Virginia? A few weeks ago, I was vineyard hopping over the weekend and I stumbled upon Linden. My wine friends were shocked that it was my first time going there. After all, Jim Law is the patron saint of decent Virginia wine according to everyone I trust on the subject. Their follow up question, "Surely you've been to RdV?!?!" I was embarrassed to admit I had no idea what that was. Rutger de Who? Answer: Rutger de Vink, founder of RdV Vineyards... the winemaker in the hills of Northern Virginia who hails from The Marines and the tech industry, but is quietly and subtly building a name for himself as the best glass of wine in the state. Obviously, I had to check it out. First of all, you need a reservation. 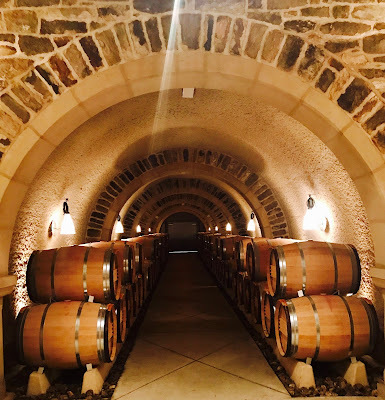 I'm not great with planning ahead, but to taste or even visit RdV, you need a tasting reservation or to be a member of the wine club. Reservations are booked through their website (on the days they have them) and are $50. Upon gated arrival, you'll be buzzed in and park your car next to the barn. The barn that looks like it should be in the pages of Architectural Digest. I fell hard for the clean modern lines mixed with old world touches. I also fell hard for the rosé and friendly staff that greeted us. My only complaint was that we couldn't buy a bottle. Our small group gathered and was escorted up to the vines to hear the tale of how Rutger went from serving our nation to serving up bottles. When the wine bug bit Rutger, he studied with Jim Law at Linden. 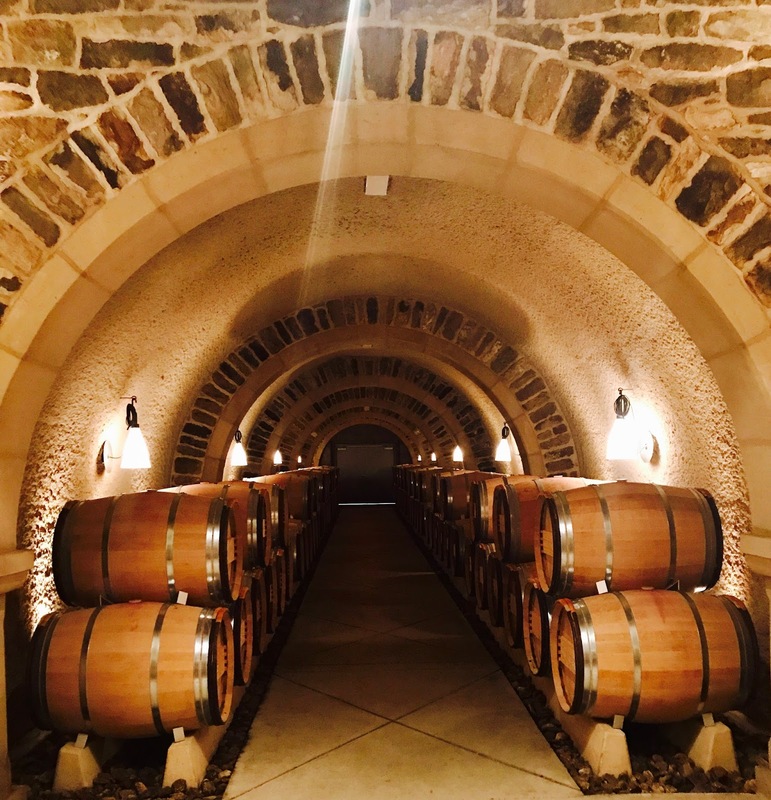 From there, he went to France and soaked up all that he could from the Bordeaux region. And to "finish" (I get the sense one never finishes learning about wine), he studied and worked in Sonoma. Luckily for us, he found this land just off I-66 from Washington, DC in Delaplane, VA.
That all leads to a few things. Price: Bottles are $75 and up to purchase after the tasting. It was so delicious that I would have gone home with a case if I could have afforded it. As it was, we bought one bottle of the 2012 Rendezvous. Wine Club: The Wine Club is $750 to join. ** are you done wincing ** It's the only way to return and be able to buy wine without a tasting reservation. For your $750 you get access: to bottles, to events and to the beautiful property for longer amounts of time. Everything in my body wanted to join, but that $750 also only gets you 6 bottles that day. As I messaged a friend who is a member, "I would have joined if I could have had one more bottle, but I wasn't drunk enough to throw down that much plastic." However, if you're feeling flush, this is the wine club to join. Scarcity: Some bottles are available on their website (the 2014 Rendezvous), at a small amount of retailers and in a few restaurants. But, back to the tasting. After the vineyard tour, we walked through the entire facility, including the caves and bottling facility. We ended back at a communal table where we tasted four wines, paired with a delicious charcuterie selection. Afterwards, we bought our bottle and wanted to sit on the patio drinking it. I gather hanging out on-site and on the patio is members-only, but it wasn't crowded, so the team said it would be ok. If you're on a journey to learn more about Virginia wines or you just love wasting an afternoon sipping wine in an elegant atmosphere, you should put RdV on your to do list at least once. 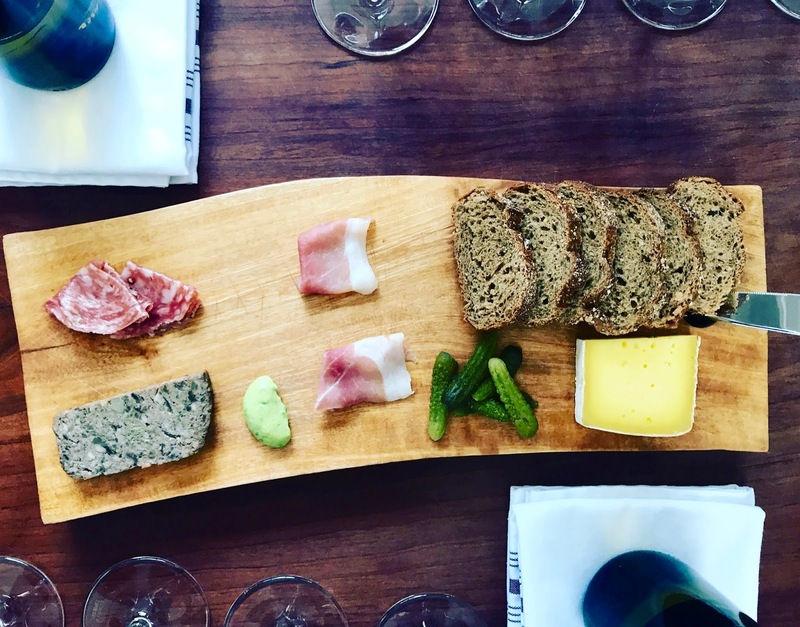 It's worth the splurge to get to know the wine, the wine makers and the property. Everything about it was lovely, except that I had to say goodbye. 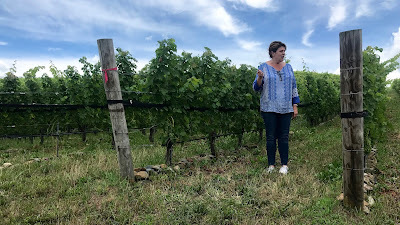 RdV Vineyards is located at 2550 Delaplane Grade Road in Delaplane, VA. It is accessed by reservations on their website or by joining the RdV wine club. Be sure to plan ahead. 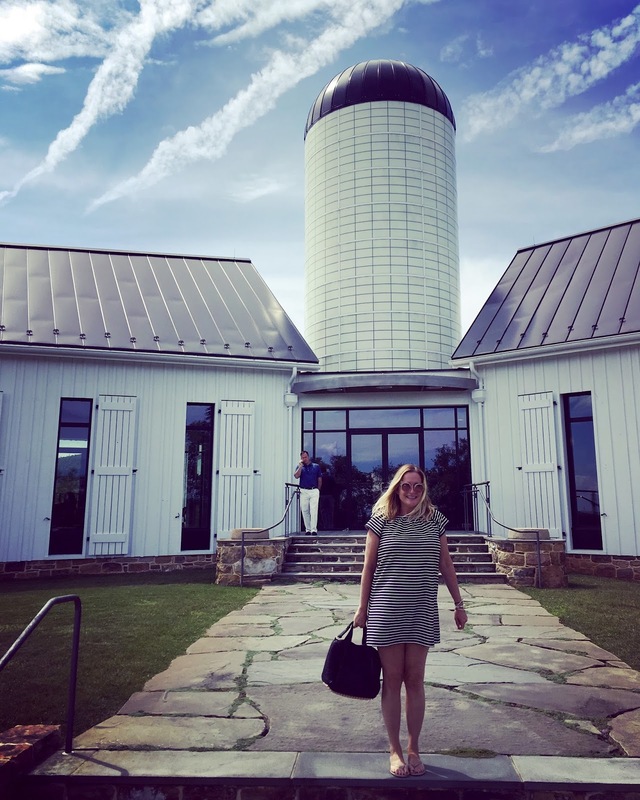 While you are there, don't miss checking out the red barn in the distance which used to house Chef Jose Andres gardens, and now fuels Chef Eric Ziebold's DC kitchens.